There’s nothing more inviting at the end of a day sightseeing or walking in the mountains than a cosy pub with a roaring fire, good food and good beer. You know the kind of place – real ales on tap, great locally-produced food and a warm, friendly atmosphere. thirdly, they have real character. They enjoy a reputation that extends across Scotland and beyond, they’re often eccentric in their decor (and/or the ‘regulars’), and they often ooze tradition and history as pubs and coaching houses going back many, many decades. Choosing a definitive Top 10 is no easy matter. There are at least another 10 I shortlisted but have left out – and probably countless more that I simply haven’t visited or know about (but please leave me a comment if you have any good suggestions you think should be included). So, here goes …..
Well known in the Scottish Borders, where I used to live, as a traditional, good quality inn. It serves great food (Border lamb, Tweed vension..) and real ales – Traquair Bear ale – brewed at nearby Traquair House. There’s a beer garden in summer and cosy log fire in winter. 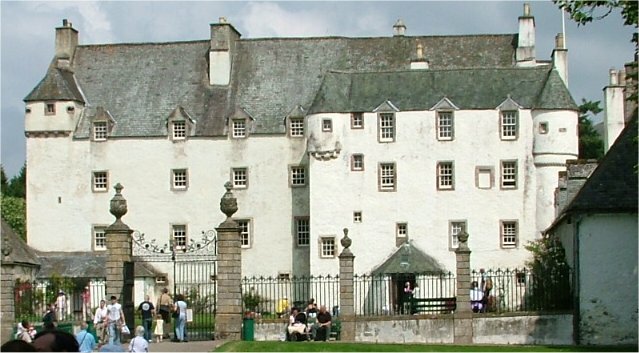 On the doorstep for … the world-class Glentress and 7 Stanes mountain biking downhill runs; Traquair House, a former hunting lodge for the kings and queens of Scotland dating back to 1107; good walks eg the 212 mile Southern Upland Way, Broad Law. A traditional Highland inn dating from 1695 in the tiny hamlet of Moulin, just up the hill from Pitlochry and at the start of the popular walk up Ben Vrackie. Romantic rooms, good Scottish food and an award-winning pub … with its own microbrewery in the former coaching house behind the Hotel (serving Old Remedial, Ale of Atholl, Braveheart etc). On the doorstep for … an afternoon’s walk up Ben Vrackie for some cracking views; a stroll around the holiday town of Pitlochry; nearby Blair Castle, home of the Dukes of Atholl; white water rafting, bungee jumping and other adventure sports in the heart of Highland Perthshire’s breathtaking scenery. 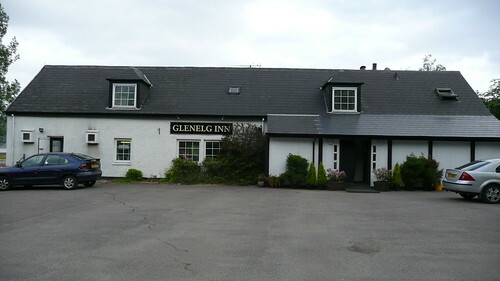 On the road to the Isle of Skye, this comfortable country inn is 22 miles north of Fort William. It boasts 12 rooms, excellent Scottish food and drink (Michelin recommended) and very well located for the sights in this stunning part of the world. On the doorstep for … Loch Ness; Loch Garry (famously nicknamed the “map of Scotland” from its roadside viewpoint); Eilan Donan Castle en route for Skye; the Jacobite steam train (used in the Harry Potter film) between Fort William and Mallaig, one of the finest railway journeys in the world; the Great Glen long distance footpath, Ben Tee (Corbett) and countless munros in Glen Shiel and elsewhere. 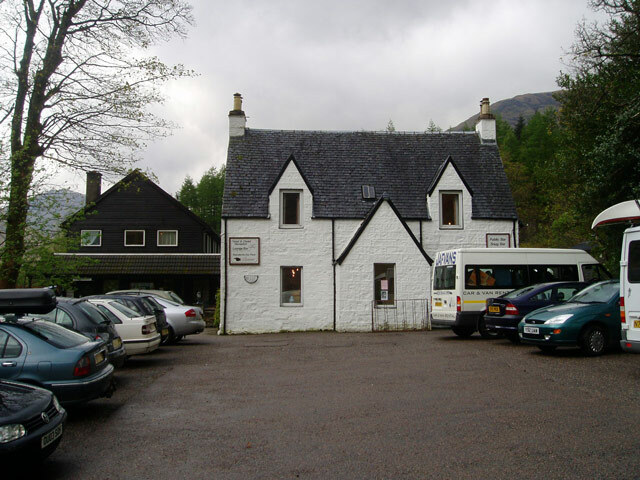 Right on the A82 between Tyndrum and Glen Coe, the Bridge of Orchy Hotel has rooms, good Scottish food, real ales and (for walkers and backpackers) a 46-bed bunkhouse at the back. On the doorstep for … the munro Beinn Dorain (literally, just across the road) and many great munros in Glen Coe and the Southern Highlands; the 96 mile West Highland Way between Milngavie and Fort William; the underground power station at Ben Cruachan. 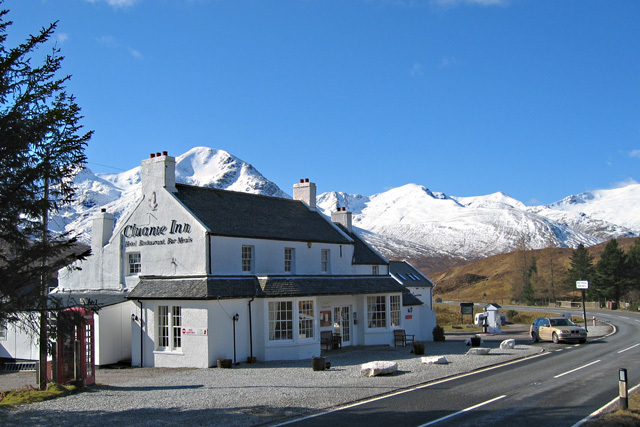 The Cluanie Inn is right on the A87 surrounded by mountains on the Road to Skye. It serves fresh Scottish food, has its own whisky bar (as well as a ‘normal’ bar serving bar meals) and has 12 rooms. It’s a little more upmarket than some of the other walkers’ pubs but is a magnet for climbers, walkers and fisherman after a hard day’s exercise. On the doorstep for … 21 munros (Five Sisters, South Glen Shiel Ridge, The Saddle etc); Eilan Donan Castle, one of the most photographed Scottish castles, the Isle of Skye. Moved from its original site in 1830 and frequented by “gentleman climbers”, the ‘Slig’ has since earned a reputation across the world for its location near the Cuillin mountains. 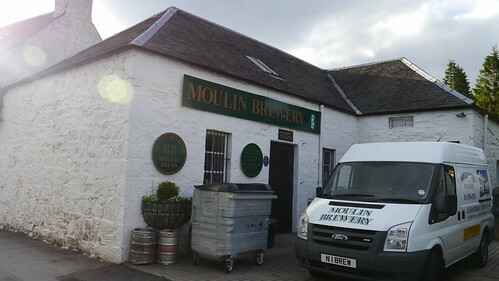 It still has the character of a coaching inn and brews the Cuillin real ales in a microbrewery on site (the peaty waters from the river give the beers their distinctive taste and colour). The Slig has rooms, self catering cottages, a bunkhouse and a campsite just across the road. What more could you want ? 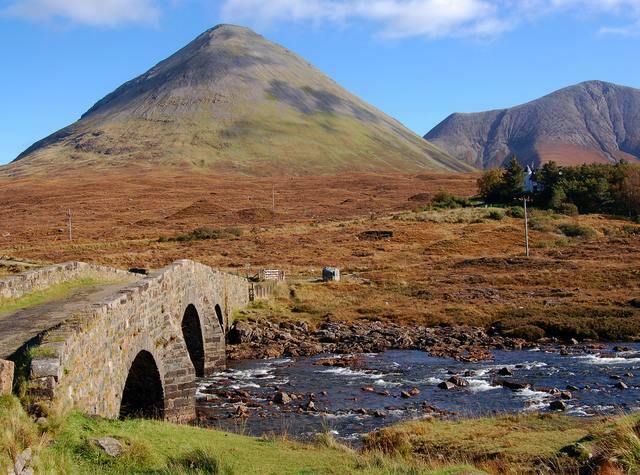 On the doorstep for … the Cuillin mountains (arguably the finest peaks in the UK and world-renowned); Dunvegan Castle; the Quirang; the Fairy Pools in Glen Brittle. After a hair-rising six mile journey over the Bealach na Ba (pass of the cattle), the highest mountain pass in Britain, you will be glad to arrive in Applecross. Once here, you won’t want to leave. The Inn is the centre of the community, serving local fresh food (salmon, lobster, crab, oysters, venison …) and with seven rooms. No wonder then that the Applecross Inn was voted the Scotland Pub of the Year in the 2012 Good Pub Guide. On the doorstep for … eating, drinking and relaxing. 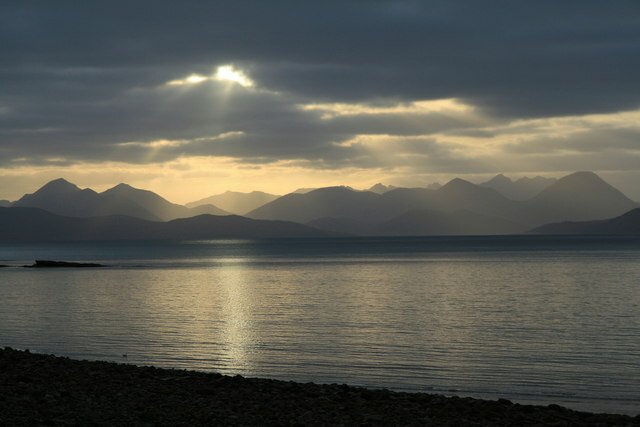 And looking out over the hills in Skye. That’s about it. Just over the pass from Shiel Bridge (off the A87 to Skye), Glenelg nestles on the shoreline looking out to Skye. It’s a civilised place with great seafood, real ales and a cosy snug of a bar. The rooms are not cheap, mind you, but if you’re looking for a great pub this is about the only place for miles around. On the doorstep for … the munro, Beinn Sgritheall; the munros in Glen Shiel; the Kylerhea car ferry to Skye (April to mid-October) or the more modern Skye Bridge. Well known as the most remote pub in mainland Britain you need to make an effort to get here – either by boat from Mallaig or several long walking routes. Once here you can enjoy one of the best seafood platters available anywhere together with the occasional impromptu ceilidh. The picture at the top of the post shows the Old Forge on the “main street” in Inverie (ie the only road in Knoydart !). On the doorstep for … unspoilt scenery and wildlife spotting in Knoydart; three munros including Ladhar Bheinn, one of the finest hills in Scotland; sea kayaking. The Clachaig is a real magnet for walkers and climbers in Glen Coe and has offered beer and lodging for over 300 years. Don’t expect luxury – its rooms and food are not the main reason for coming. No, it’s all about the beer and the location, surrounded by stunning mountain scenery. Expect a great atmosphere, stone floors, wooden tables, open fires, over 200 whiskies and real ales. On the doorstep for … Glen Coe and its mountains; Ben Nevis and Fort William nearby. Now after writing this post I’m starting to feel more than a little peckish and thirsty for some good beer. 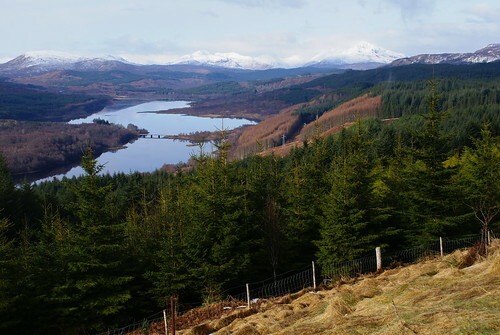 So, if I head north via Bridge of Orchy and Glen Coe, up to Invergarry, turn left towards Glenelg, then up over the Skye Bridge to ….. yep, I reckon a week or two should do it. I’m filing this post away for some future visit! Yes, just writing this has made me want to head off right now …! The Moulin is up there with the best as well. Unfortunately the Bridge of Orchy brings back memories for me of the grumpy old git who used to own years ago.Think he was a retired major or something and made it obvious that serving manky hillwalkers and climbers did not feature high on his list of priorities. PS: When I try to sign up for email updates I`m told that my email address is not valid for some reason. The Kingshouse is another obvious walkers’ hangout but I’m afraid I never quite saw the attraction personally – it just seemed a bit ‘tired’ and not nearly as popular as the Clachaig. I was in the Atholl Arms in Blair Atholl recently – a nice homely pub but again, I didn’t mention it since the Moulin seems the better option in that neck of the woods . But there are some cracking pubs that are well worth visiting. Thanks for letting me know about the e-mail issue … I’ll look into it. Must have been a temporary glitch as I`ve just signed up without problem. Yes,the Kingy is a bit of a dreary place nowadays I must admit but the climbers bar was quite good in the late 70`s. Great, I’m glad it’s now working Alex. Can I recommend the iOS app Offline Highlands? Must confess, it is mine but I’ve done it as a hobby rather than a earner (it is definitely not that!) I love the Scottish Highlands and wanted something to help me find what’s nearby and how it rates when I’m out walking in the area with very little reception. It’s worth having! https://itunes.apple.com/gb/app/offline-highlands-scotland/id873371901?mt=8&uo=4 Cheers. Thanks – the app is great ! What I like about it is that the choices offered are a selection- it takes the hassle out of finding somewhere to stay, eat or visit. No need to trawl through some mediocre places (of which, to be honest, there are a good number) but a manageable selection of good quality entries. Well done! That’s really kind, thank you. It’s not super sophisticated but hopefully has some handy info for free and the location stuff is pretty useful when you’re out of reception. Took me ages and I don’t think I can face doing another, but hopefully of some use to people! 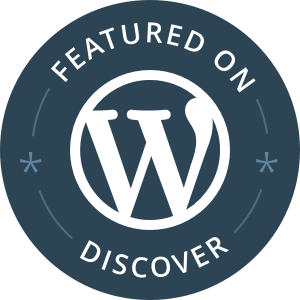 Great site by the way – makes me even more excited by the prospect of heading back up north in March. All the best. Bookmarked this post for our upcoming Scotland trip. On our previous Scotland trip, lunch at the Drovers Inn near Loch Lomond was one of the best meals of the trip.